Mercedes-Benz has unveiled the standard version of its new A-Class saloon, which is set to go on sale in the UK by the end of the year. 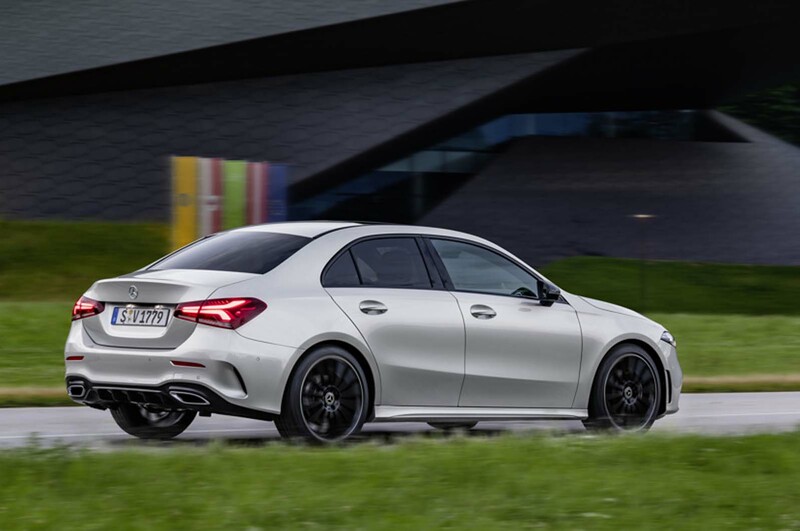 The A-Class has already been seen in hatchback and China-only long-wheelbase saloon form. The global saloon version, designed to rival the Audi A3 saloon and upcoming BMW 2 Series Gran Coupé, will make its public debut at the Paris motor show in October. It slots into Mercedes' line-up beneath the C-Class saloon to become the German car maker’s most affordable four-door model, in a move that mirrors the 1982 launch of the original 190, which sat beneath the E-Class and was subsequently rebadged as the C-Class. Mercedes has confirmed that the A-Class saloon will be offered with just two engines when it goes on sale, although further units are planned once production is ramped up. The launch options are a turbocharged 1.3-litre four-cylinder petrol engine with 161bhp and 184lb ft (badged A200) and a 1.5-litre four-cylinder diesel with 114bhp and 192lb ft (badged A180d). This new version is the most luxurious A-Class yet, but has Mercedes made it a class leader? Both come as standard with a six-speed manual gearbox, although, as with the hatchback, a seven-speed dual-clutch automatic 'box with steering wheel-mounted shift paddles is an option. When mated to the latter, the petrol engine is claimed to return combined fuel economy of 54.3mpg and average CO2 emissions of 119g/km, while the diesel records 70.6mpg and 107g/km. 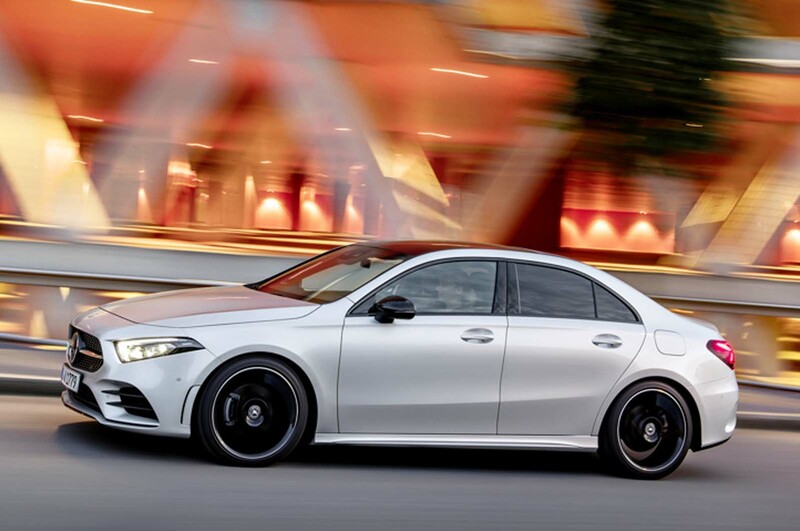 Together with standard front-wheel-drive versions of the A-Class saloon, Mercedes also plans to offer a limited number of four-wheel-drive 4Matic variants, including A35 4Matic and A45 4Matic models from its AMG performance division. 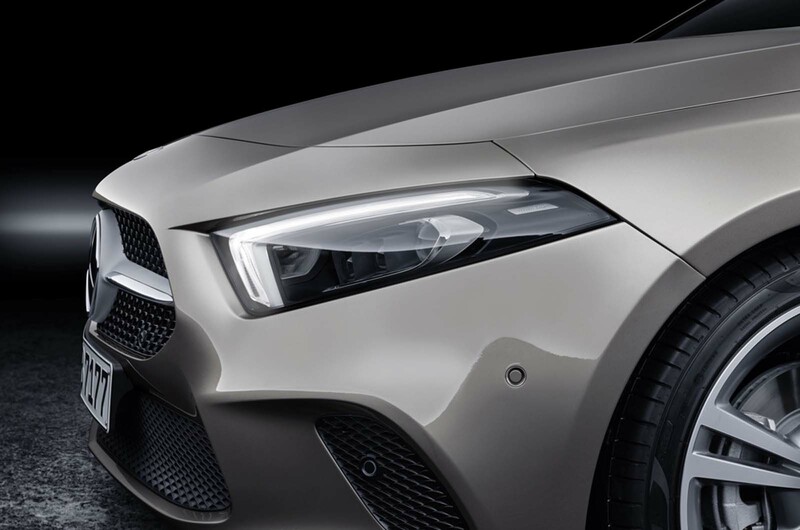 The A-Class saloon adopts the same front-end styling treatment as the A-Class hatchback, with a prominent grille and angular headights that taper into the leading edge of the front fenders. It’s only behind the B-pillars that saloon differs from the hatchback, with a longer roof, longer rear doors and a longer rear overhang to accommodate a short, separate boot. At 4549mm long, 1796mm wide and 1446mm tall, the saloon is 130mm longer, the same width and 6mm taller than the hatchback, with an identical wheelbase of 2729mm. In comparison, the Audi A3 saloon measures 4458mm long, 1796mm wide and 1415mm tall, with a 2637mm wheelbase. Mercedes says a relatively small frontal area and the extended rear overhang of the saloon makes it highly aerodynamically efficient. It has a Cd of 0.22, beating the 0.23 Cd of the firm’s previous aerodynamic production champion, the CLA. Inside, the A-Class saloon features the same dashboard and advanced infotainment functions as the new hatchback, including Mercedes' new MBUX infotainment system with touchscreen control and speech recognition. 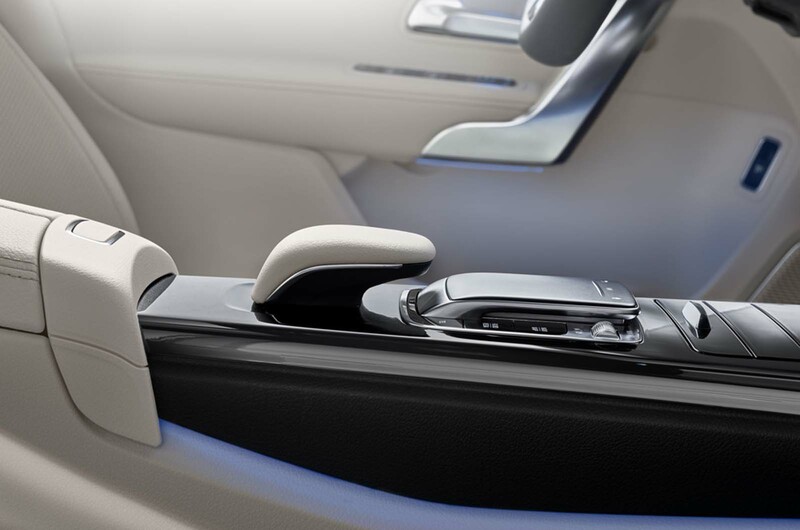 Mercedes claims the saloon offers above-average shoulder, elbow and head room for front seat occupants and class-leading head room for those in the rear. Its 420-litre boot capacity, however, doesn’t quite match the 425 litres of the smaller A3 saloon. The A-class saloon is built on Mercedes-Benz’s MFA II platform and, as with the hatch, utilises two rear suspension layouts: a torsion beam arrangement on cheaper models and multi-link system on higher-end variants. The model will be built at Mercedes' Rastatt plant in Germany and in Aguascalientes, Mexico, at a new joint venture factory run in co-operation with Renault-Nissan. The long-wheelbase version for the Chinese market is built at Beijing Benz Automotive in China. Prices for the A-Class saloon are expected to start from £26,500, making it around £3000 more expensive than the rival Audi A3 saloon. 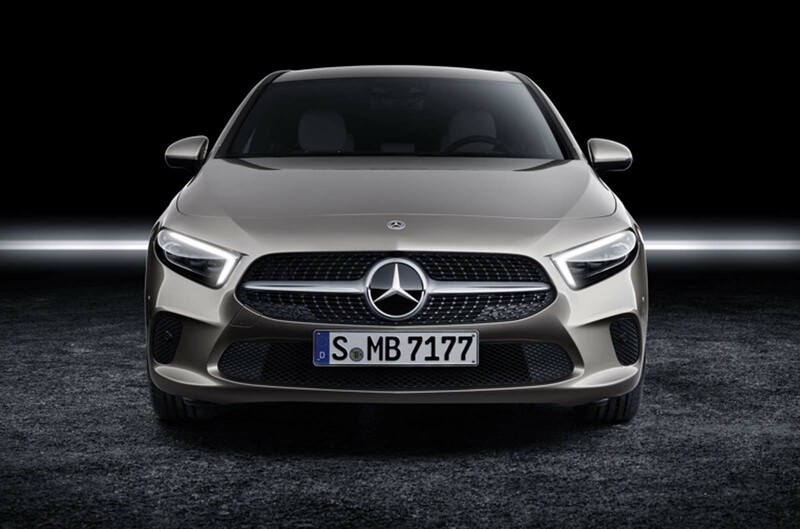 The A-class saloon is the sixth member of Mercedes-Benz’s compact car line-up, joining the A-Class hatchback, B-Class MPV, CLA coupé, CLA Shooting Brake and GLA crossover in an expanded line-up that will also include an Audi Q3 and BMW X1-rivalling SUV called the GLB by the end of 2019. Hello guys, I'm Meghan from JSON formatter team ( at https://jsonformatter-online.com/ ). Our projects are: http://rolltheball.co and http://impossiblegame.co . Hope your help, thank you! Peter Cavellini, perhaps you imagined the CLA, it is or wasn’t much different in looks from this vehicle. I cannnot decide if German design is moving towards Japanese design rather than the other way around as was the previous case. Either way the public seems to want play it safe and anodyne when buying a car. Also, is the C class not still the successor to the 190, as the article alludes to. No, no I didn’t, as can be seen in profile there are design elements common to all three German brands. Looks like just another facelift. Just the front & rear re-styled & the middle/glass house etc. carried over? Why is it when BMW/Mercedes do a "facelift" its billed as a complete new car???? Think the buying public beleive this hype!!!! the public are stupid enough to buy this French car with german badge p.o.s.